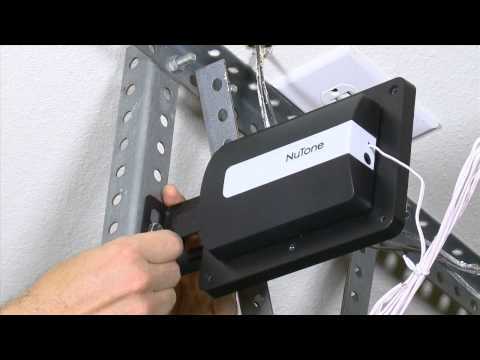 The NuTone Z-Wave Plus Enabled Garage Door Controller opens or closes a sectional garage door remotely. This smart garage door controller is compatible with virtually any automatic garage door opener connected to a sectional garage door. Installers only need to 'pair' the unit into the smart home network, mount the unit, connect two wires and plug it in. Safe operation with audible and visual notification prior to open/close of the garage door. Meet UL 325-2010 safety requirements. Audible Alarm: 45 db at 10 feet. Operating Temperature: -4 to 122°F (-20 to 50°C). Power Supply: 120 VAC, 0.8 A.